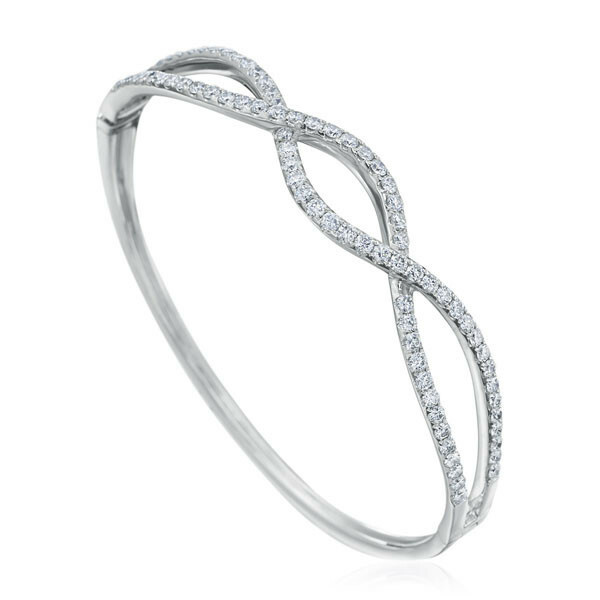 Fall in love with this hinged bangle bracelet with a diamond infinity symbol. Crafted in 18K white gold, the piece is at-once traditional and trendy. Dazzling and delicate, this bracelet will present an everlasting sign of energy, vitality and empowerment.